Begin with classic, add a hint of charm, mix in some character (tradition, history) and you have”Vintage Southern Hospitality”. 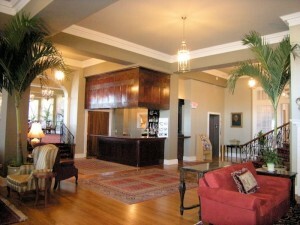 The kind only The Mimslyn Inn serves- comfortable, inviting, and ready for you to experience. Take a look at their newly restored Manor House and Cottages here. Visit our table where friends and family stay and dine throughout the seasons. We are known throughout the Shenandoah Valley for our gracious atmosphere, personalized service, and picturesque surroundings. Our historic setting features expansive lawns peppered with gardens, oversized patios, landscaped terraces, and tasteful stonework. We are walking distance from historic downtown Luray, and sandwiched between the famous Caverns and the scenic Shenandoah National Park. Catch our colonial vibe as you are greeted by a circular drive leading to a portico supported by high columns. Enter our gracious lobby, complete with winding staircase, and be transported back to the antebellum era of the Old South. While in the lobby, curl up by a large fireplace and sample a bottle of wine from our bar or wine shop. If you smell freshly baked bread or a delicate aroma, you may be heading into the main dining room, Circa ’31, where our chef prepares seasonal dishes daily. The Mimslyn Inn has been around since the 30’s, when prohibition was celebrated. Today, our “Speakeasy” Tavern is ready to entertain a variety of appetites. 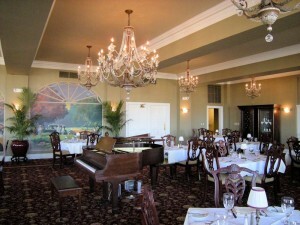 The Mimslyn has undergone a multi-million dollar renovation, making them the toast of the town. They invite you to sample their room selection and enjoy a comfortable atmosphere complete with vintage architecture, grand textures, and down-home comforts. The Mimslyn’s distinguished make-over has brought the Inn back, full of life with many extras like a Spa, fitness room, complete business center, and gift shop.